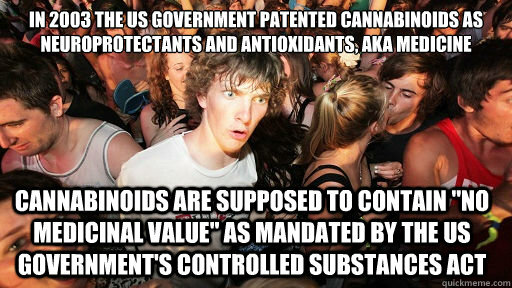 Cannabinoids have been found to have antioxidant properties, unrelated to NMDA receptor antagonism. This new found property makes cannabinoids useful in the treatment and prophylaxis of wide variety of oxidation associated diseases, such as ischemic, age-related, inflammatory and autoimmune diseases. The cannabinoids are found to have particular application as neuroprotectants, for example in limiting neurological damage following ischemic insults, such as stroke and trauma, or in the treatment of neurodegenerative diseases, such as Alzheimer’s disease, Parkinson’s disease and HIV dementia. Nonpsychoactive cannabinoids, such as cannabidoil, are particularly advantageous to use because they avoid toxicity that is encountered with psychoactive cannabinoids at high doses useful in the method of the present invention. 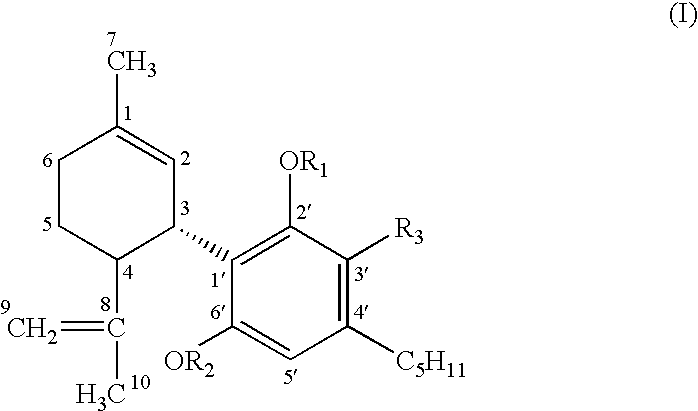 A particular disclosed class of cannabinoids useful as neuroprotective antioxidants is formula (I) wherein the R group is independently selected from the group consisting of H, CH3, and COCH3.